Continue the quoting process directly into an online application with our universal E-Application Platform. Call us at 855-861-8776 or click the link below to learn more. From online quoting tools to customized actuarial consulting, CSG Actuarial offers a wealth of resources for insurance agents and agencies to stay at the top of the competitive insurance industry. Our MarketAdvisor™ Quoting Tools allow you to run the most up-to-date quotes for 200 companies in real time, analyze rate increase history, and research underwriting conditions 24/7. Medicare Supplement, Medicare Advantage, Final Expense Life, Hospital Indemnity, & Senior Dental. Developing new products or assessing your existing ones? Let our team of actuaries help. We’ve worked with some of the top insurance companies nationwide. Let us show you how we can help your business grow. We make it easy to find the information you need. 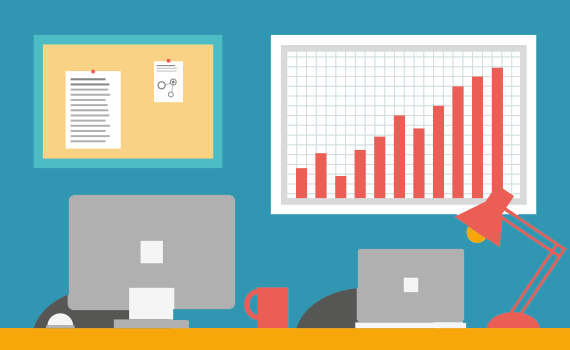 Learn more about our Competitive Intelligence Guides, custom reporting, and data feeds. We have the latest current and future rates for quotes, or to benchmark your current products and design new ones. Our software keeps you competitive by allowing you to quote, research industry documents, and analyze market activity. With an emphasis on the Life and Health insurance markets, the CSG Actuarial team of actuaries has a combined 70 years of experience. 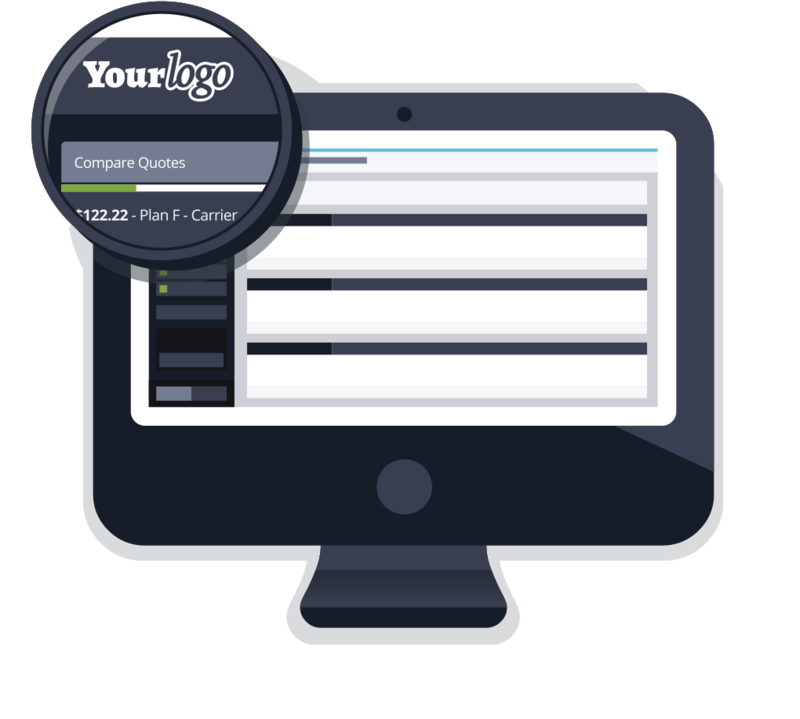 Customize our quoting tools software to compliment your company’s brand, or develop your own application utilizing our data API. With premiums constantly changing, we provide agents access to the most current rates available. 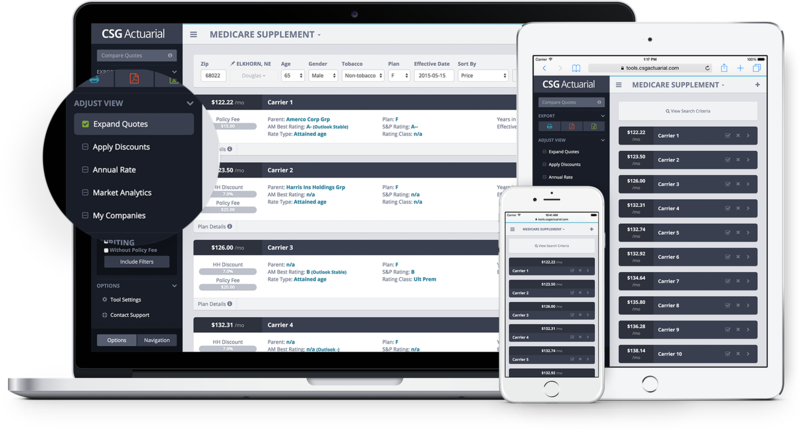 Find accurate rates for over 300 companies with CSG Actuarial’s MarketAdvisor Quoting Tools. Subscriptions start at just $10 per month, with no contracts or hidden fees. Give your agents a competitive advantage by providing custom quoting tools, branded for your organization. From rates and underwriting to analyzing current market activity, our suite of tools will provide the resources you need to stay ahead of the competition. Our suite of industry-leading tools will span the needs of your enterprise. Gain a competitive edge with our customizable data feeds, comprehensive document library, and ability to track market activity in real-time. CSG’s tools helped us expand our business nationally, since we can now show clients the most competitive rates in other states. CSG’s tools are accurate and have been very helpful! CSG Actuarial’s online tools are wonderful…they’re as good as anything else on the market. When I’m recruiting agents, I show off CSG’s tools as one of our competitive edges. Agents become very interested when we show them–when working with us–how quickly they can get accurate, up-to-date marketplace snapshots…and how great they’re able to represent our carriers. I love CSG Actuarial’s Online Tools! The information they provide makes me more competitive and allows me to make more sales. And having it in front of me on an appointment shows my clients that I take the extra step and really care about them! We’re always looking for the next great addition to our growing team. Learn more about our open positions and see if you’d be the right fit for CSG Actuarial! Want to keep up with the latest insurance news, rate changes, and product updates? Sign up for our mailing list to stay connected to what’s happening in the industry.